From the time democracy resurfaced in Nigeria in May 1999, the same military elite and the monolithic North, in an attempt to establish their monopoly of power and continue their hegemony selected former President Olusegun Obasanjo and made him President. Most Nigerians were comfortable with the choice of Obasanjo because he handed over power to Shehu Shagari in 1979. By the time Obasanjo completed his second tenure, the Northern oligarchy was utterly disappointed. Whereas, so many Northern elites were given appointments, but the power equation and the geometry of allocatable resources did not favour the North. Atiku's overarching ambition to step into the shoes of Obasanjo failed for two reasons. First was the privatization exercise. Whereas former President Obasanjo was busy re-aligning Nigeria's foreign relations and taking over the commanding height of politics in sub-saharan Africa, his Vice President was busy privatizing Nigeria into his private pocket. Atiku achieved this because of his veneer and love for materialism and empire building. Secondly, Atiku, was to a great extent disloyal not only to Obasanjo but also to the institution of Presidency. One of the key principles of power is to loyalty and respect for constituted authorities. Atiku broke that law with impunity and reckless abandon. That is why till date the office of Presidency MUST continue to elude him. Atiku is a relentless fighter though. He won several bouts of cases in court but later decamped. His decampment became his undoing. Atiku may be a good political tactician but not a profound student of history. His behaviour at the PDP Convention of August 31st, 2013 shows that he has learnt nothing from history. OBJ made a wise choice for a replacement: a principled, humble and humane Musa Yar'Adua was selected as a worthy successor. Former President Yar'dua was loved by Nigerians. 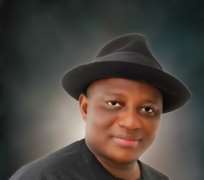 It was he who initiated the Presidential Amnesty Programme - which the Niger Delta Youths embraced wholeheartedly. It was his charm; mien and charisma that made the Niger Delta insurgents to surrender their arms. President Goodluck Jonathan has continued to make a mileage of the PAP and implemented it with even greater vigour. By any known yardstick, though short-lived, Yar'Adua made a successful President. The doctrine of necessity made it necessary for President Goodluck Jonathan to complete the tenure of Yar'Adua. It was eventful though tough for him. Having understood the nuances, he then contested in 2011 and won a land slide victory especially in the PDP States. The South-West had, as at then decided to proceed on ideological change in favour of ACN, Ondo and Edo States were captured by the Labour Party and ACN respectively. Today, President Jonathan has completed well on his way to complete his first tenure in Office. What is really intriguing is that having failed to capture power through the ballot box, a section of the North went ahead to invent a strange phenomenon which for lack of a suitable euphemism is called Boko Haram. The inventors have tried to mystify it by bringing in the element of religion. This has not been successful because Islam as a religion places a huge value on life. Even the concept of jihad does not fall in line with the behaviour of the Boko Haram style of insurgency, which is monstrous, destructive and inhuman. It portrays how inhuman human mortals can be when they have no access to political power. The argument of the bureaucratic elites is a hard sell. The bureaucratic elites who are surreptitiously supportive of the scale of monumental destruction take refuge in the youth unemployment-poverty hypothesis. Of the 53 years of clientele sovereignty, the North via the military and civilians put together has ruled for about 39 years. Besides, Poverty and unemployment are nationwide scourges that require a holistic strategy to tackle. Having ruled for so many years and having failed to alleviate the plight of the poor even in the North is a demonstration of the self-aggrandizing tendencies of such leaders. For the past 35 years, the North has used trickery and raw power to appropriate the resources of the South-South. This is more prominent in the area of federal appointments, location of federally sited infrastructure and the allocation of oil blocks. Till date, majority of those who are involved in the importation of petrol and owners of oil blocks are Northerners.  Launch of the Roadmap for Power Sector Reform. The Roadmap launched sets out a clear implementation plan of the Electricity Power Sector Reform Act (2005) as a reaffirmation of the commitment to resolve the power crises and setting the path for power sector Improvement.  The Re-instatement of the Nigerian Electricity Regulatory Commission. The regulatory body was strengthened with a new Chairman and Commissioners sworn in for the purpose of providing appropriate regulatory functions for the electricity market in Nigeria.  The Jonathan administration unbundled the Power Holding Company of Nigeria (PHCN) into 18 successor companies for greater efficiency and effectiveness in power generation and distribution.  Creation of the Nigerian Bulk Electricity Trading Plc. The President inaugurated the CEO and board of the Nigerian Bulk Electricity Trading Plc (also known as the Bulk Trader) in August 2011. The requisite environment for private sector investment in the Nigerian Power Sector has been created by establishing a credit-worthy offtaker of power, NBET Plc, who provides confidence to the power generating companies that they will be paid for power produced. The Federal Government of Nigeria entered into an MOU with worldwide leaders in the power sector, General Electric. The MoU stipulates that General Electric will invest up to 15 percent equity in power projects in the country summing up to 10,00MW capacity by the year 2020. General Electric also proposes to establish local packaging facility for small aero-derivative turbines in Nigeria which will promote job creation.  Signing of a Memorandum of Understanding with the US- ExIm Bank. The Ex-Im Bank of the United States of America signed an MoU with the Federal Government of Nigeria to provide an investment window of up to $1.5BN for investors willing to invest in the Nigerian Power Sector. This is the first time such quantum of money will ever be made available by the US Exim Bank for a specific sector in Africa.  The Goodluck Jonathan administration has improved the power generation from around 2000 megawatts to 4502 megawatts in December 2012 the highest since Nigeria returned to democratic rule in 1999.  By July this year, power generation will hit 6,000 megawatts and by December this year it will hit 10,000 megawatts (assurance given last week by Minister of State for Power).  All ten Power Plants under the National Integrated Power Projects (NIPP) scheme to be commissioned by the end of this year. At the moment, majority of them have reached 95 percent completion stage.  Improved power supply has been boosted in part by the emergency declared in the Gas sector last year by President Jonathan. At the time gas supply was insufficient. But now, thanks to the intervention by Mr. President, Nigeria now produces more gas than is required for domestic consumption.  For more efficient power supply, the Jonathan administration has privatized the power distribution companies (DISCOs) under a most transparent bid process.  Today, large parts of an unprecedented number of cities and towns across the country are enjoying between 14 to 16 hours of uninterrupted power supply, except in some few areas where localized problems of power distribution network have created bottlenecks for smooth transmission. A man who is ready to allow the public access to what has been achieved and what the future will be is certainly an extraordinary leader. This is the first time Nigerians genuinely know the direction of a nation that has been so messed up by past leaders. Whereas, fundamental transformation in a decadent society such as our is unthinkable, I am confident that steadily, the nation is moving to attain its manifest destiny under the Jonathan administration. This is why the ruling Peoples Democratic Party may not be out of order if President Goodluck Jonathan is given an automatic ticket to run for a second term in office. N/B: Senator Ahmed Bola Tinubu is an economic opportunist whose only sworn affidavit is self-aggrandizement and empire building. He has already achieved that in Lagos. He hopes to achieve this on a national scale by fraternizing with past military leaders who raped the economy and now control a huge chunk of the oil blocks belonging to the people of the Niger Delta. People of such character can only mortgage the destiny of the children. This is what the youths of Nigeria will resist.